Pakistan Cricket Board Chairman Shahryar Khan has admitted that if the national team was unable to participate in next month's World Twenty20 in India, the body could be fined by the ICC. 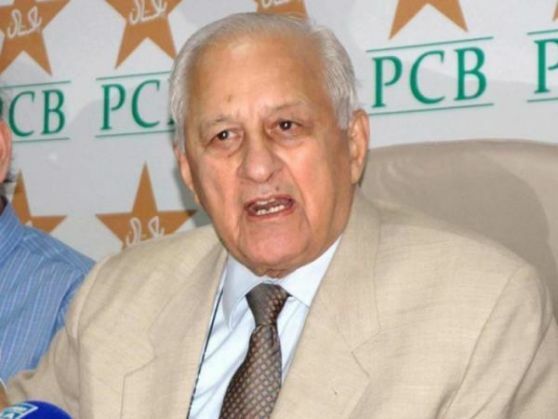 Shahryar told the media in Lahore that in case Pakistan pulls out of the World Cup, the PCB would have to pay a penalty to the world governing body of the sport. Also read: Can football fuel a war between Russia and Turkey? "I just spoke to the Prime Minister's secretariat today and until the government has not given clearance to send the team to India for the World T20," Shahryar said. "All these stories about the ICC threatening us with legal action or the Prime Minister having cleared the tour are not correct. "We have sought advice and clearance from the government to send our team to the World event. The Prime Minister's secretariat has said they are reviewing the situation and will let us know soon," he added. "If we pull out our team from the World T20 then we will have to pay a penalty to the ICC," the PCB chief said without disclosing what the amount could be. But a reliable source in the PCB said that the government was likely to clear the tour to India. "It is a routine protocol that the PCB is following but all the vibes from the government quarters is that Prime Minister Nawaz Sharif will give clearance for the team to go to India," the source said. Shahryar said the Pakistan Super League had created the expected hype and given the interest it created at its launch, it is here to stay. On Monday, the country's Cricket Board said it is not under any pressure from the ICC to send its team and a final decision remains solely dependent on government clearance.